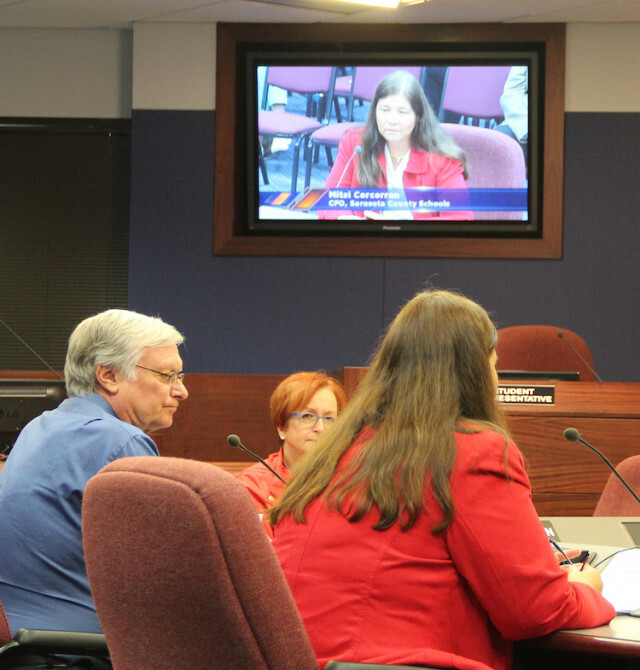 After two Sarasota County School Board members raised concern about the plan during their Feb. 21 work session, incoming Superintendent Todd Bowden proposed that no impact fee revenue would be used to pay for furniture and equipment at the new Suncoast Technical College in North Port. Although the board legally could use impact fee funds for that purpose, district staff explained, “adult education was never contemplated” as a focus for such an expenditure, Bowden said. Board member Eric Robinson — who was sworn in in late November 2016 — first raised the question when Al Weidner, the district’s retiring deputy chief financial officer, explained the latest draft of the board’s budget for the 2017-18 school year; that is when the new Suncoast Technical College (STC) will open in North Port. 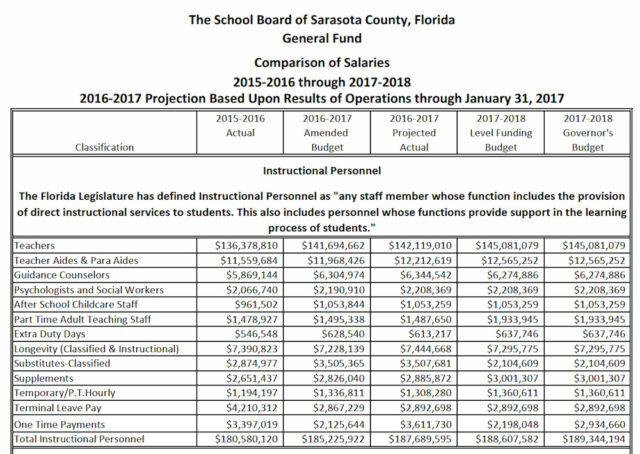 Because of those higher figures, Weidner told the board on Feb. 21, he would “highly recommend” that the budget include $400,000 from impact fee revenue to pay for furniture and equipment at the North Port STC. When Robinson asked for clarification about that plan, Weidner replied that, under the provisions of the impact fee ordinance the board has in place, the revenue can be used to cover any expense related to new growth in a district. 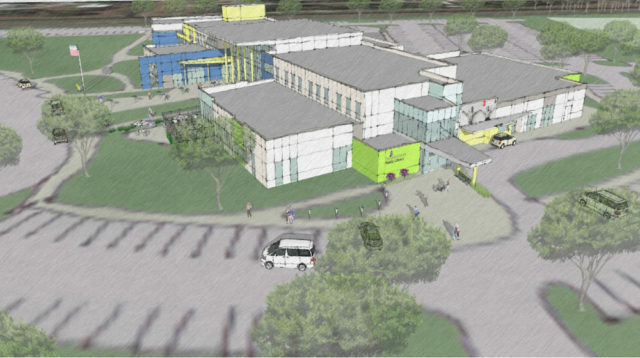 In fact, Weidner added, impact fee revenue paid for the property where the new technical college is under construction. However, School Board member Bridget replied that when the board voted 3-2 to put the fees back into effect, the plan was to use the resulting funds to pay for new schools to handle the increased enrollment that had been projected. As long as the impact fee revenue is used for purposes linked to new growth, Weidner replied, it is a matter of the board deciding on the specific expenditures. “Did you guys vote on that shift?” Robinson asked his colleagues asked about the use of the revenue for what staff refers to as “FFE”: furniture, fixtures and equipment. Board member Jane Goodwin also pointed out that, under the law, impact fee revenue has to be used within five years after it has been collected, or it reverts to the entities that paid it. She was not in favor of allocating impact fee revenue for any purpose but buying land for new schools and constructing the schools, she told her colleagues. Retiring Superintendent Lori White explained that that would be part of the upcoming discussion on the agenda regarding capital projects for the next five years. 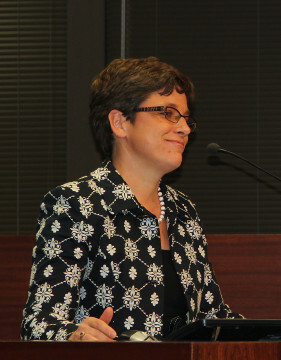 When Kathie Ebaugh, the district’s planning director, and Deputy Superintendent Scott Lempe started their discussion of the district’s draft Capital Improvement Program (CIP) for the next five fiscal years — starting in 2017-18 — Ebaugh pointed out that the plan calls for building the next elementary school with cash allocated to that program from a variety of sources. Additionally, she said, the CIP includes the addition of a 400-student wing at Venice High School, paid for with cash. Both projects will respond to student growth, she noted. “How critical is it to make sure that we build up reserves in order to build these new schools?” Robinson asked. Impact fees make up only a portion of the revenue projected for the CIP over the next five years, Ebaugh said. She calculated that it would represent about $17.5 million of the $67 million total. “We are doing very well” in collecting revenue for and managing projects in the CIP, Ebaugh replied, adding that staff works within the funding projections in planning each five-year CIP. She added that the district also would be able to buy land for a new high school in the plan that would go into effect in 2017-18. Ziegler again talked of her concern about using the impact fee revenue for anything but new property purchases and construction. She indicated that it would be a matter of the board members going back on the word they gave county taxpayers in re-implementing the fees. “That was exactly my point,” Robinson said. Finally, incoming Superintendent Bowden told the board he had conferred with CFO Corcoran. She had calculated how the board could use just revenue from its capital millage levy to pay for the furniture and equipment at the new technical college, he said. Therefore, his suggestion was to do that and let the impact fee revenue accrue.